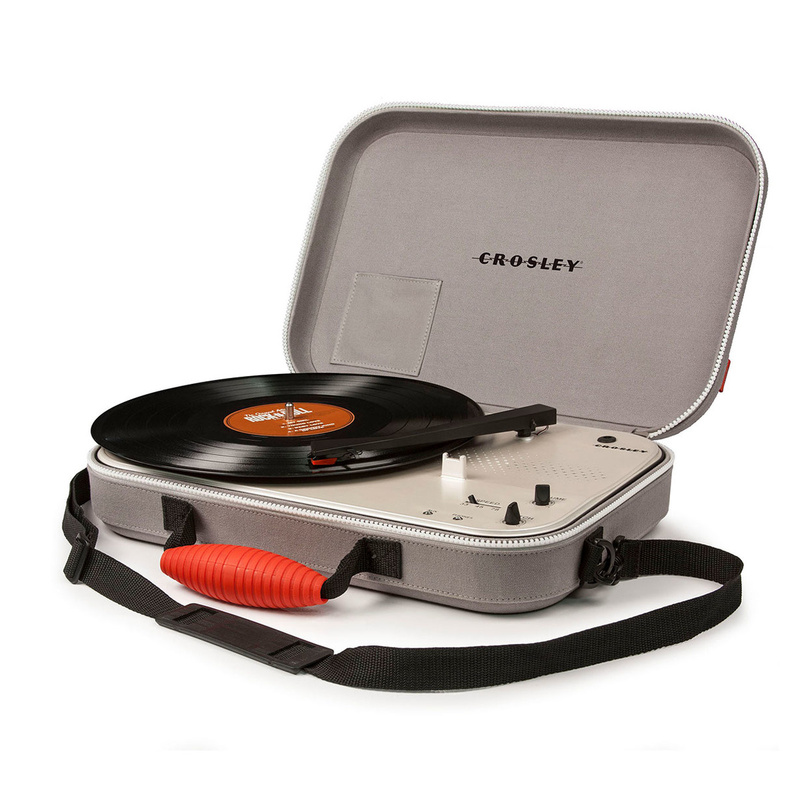 Bring your music with you wherever you go with the beautiful Crosley Messenger Record Player! 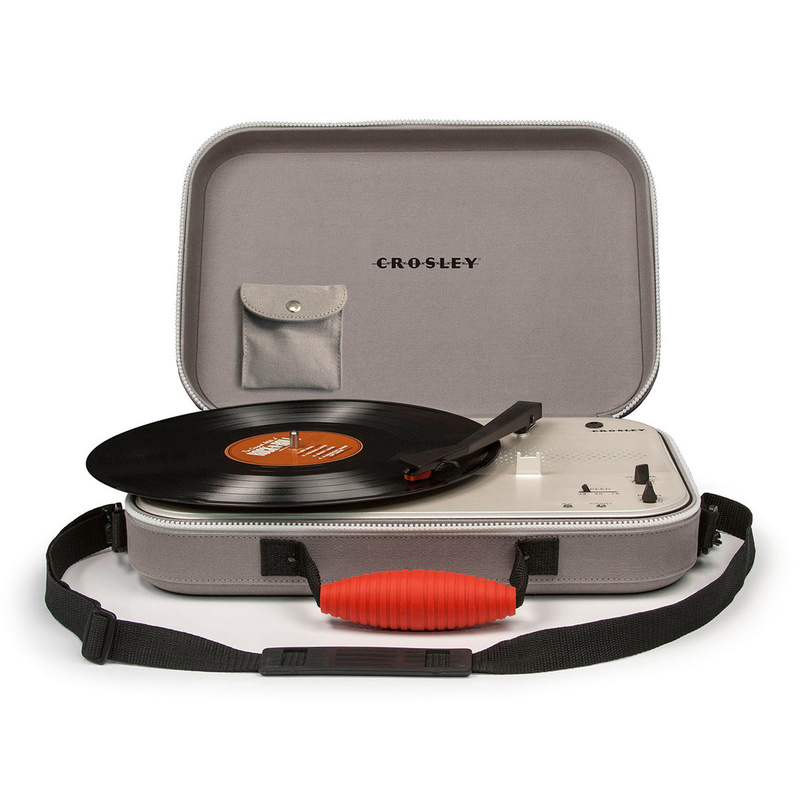 Crosley Messenger is a record player like no other: portable and lightweight, it is fitted into a handy shoulder bag to come with you on your trips, parties, or anywhere you might require music with a 1960s twist. This record player is battery-operated and designed to ensure utmost comfort, a top acoustic performance, and ease in carrying. 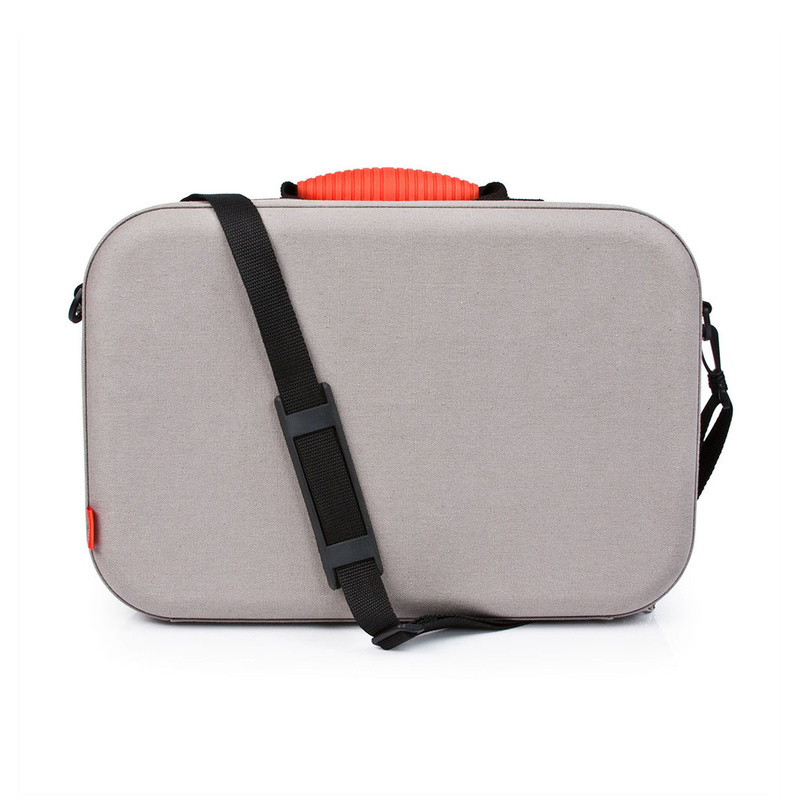 Sturdy but not heavy or bulky, it can be locked up safely in its soft and durable bag through a practical zipper. 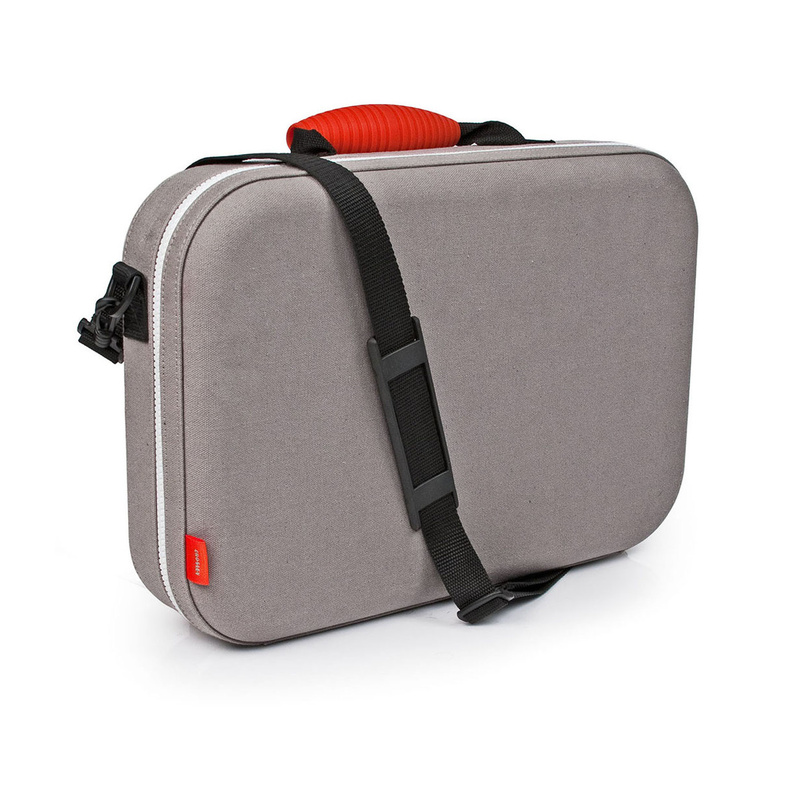 Thanks to the adjustable shoulder strap, the bag is also particularly handy to carry, adapting to any kind of body type, and is available in two colours: elegant gray or chequered white and black. Once closed, it looks like a beautiful briefcase with rounded corners and a sturdy handle but all you need to do to admire the remarkable accuracy of the turntable and its various features is open the bag. Next to the disc tray there is a switch and 2 useful knobs for easy and efficient sound management. 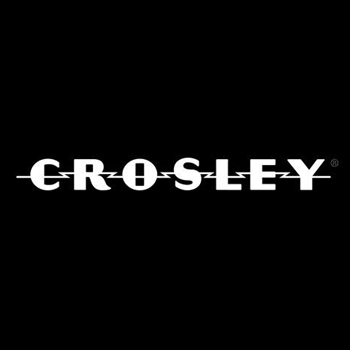 Set up to play vinyl records at a speed of 45, 33 1/3, or 78 RPM, the Crosley Messenger Record Player allows you to listen to music with your friends thanks its powerful Dynamic Full Range integrated speakers or to do it more quietly thanks to the headphone jack input. It reproduces sounds with great precision thanks to both the Belt Driven swivel system and the professional needle. Practical, functional and at the same time featuring a beautiful vintage look, this record player is sure to be a hit with lovers of vinyl records not least thanks to the iconic Tonearm manual arm. Complete with extra plug to allow you to use it with electricity rather than the in-built battery, the Crosley Messenger Record Player works with vinyl records of all formats (7", 10", and 12").